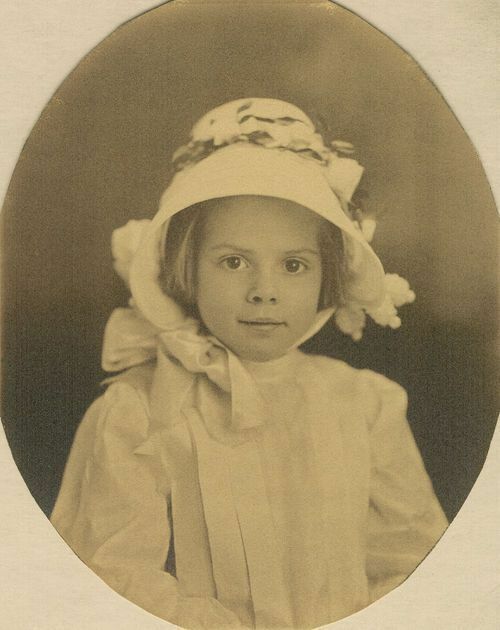 A portrait of young Mary White (1904-1921) wearing a dress and a decorated hat tied with a wide satin ribbon bow. Mary was the daughter of William Allen White, who was the owner and editor of "The Emporia Gazette" newspaper in Emporia, Kansas. Her death as the result of a horse-riding accident in 1921 lead her father to write a famous eulogy, "Mary White," that was published in his newspaper on August 17, 1921.